Alzheimer’s disease and dementia are often used interchangeably to describe a condition that causes memory loss in old age. However, these health conditions are actually two separate issues. Though all seniors with Alzheimer’s disease will eventually have dementia, not all dementia is directly related to Alzheimer’s disease. Here is what you need to know about the differences between dementia and Alzheimer’s disease. 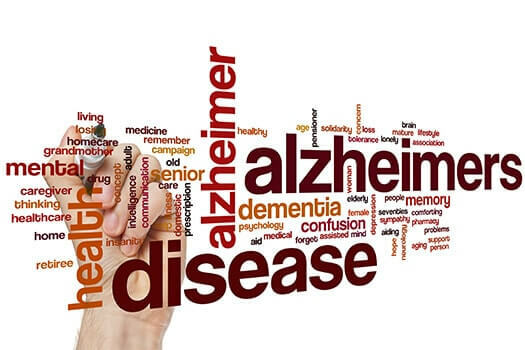 As the name implies, Alzheimer’s disease is medically defined as a disease, which means it is a condition caused by disordered bodily functions that results in specific symptoms. Alzheimer’s disease is defined as a condition that results in dementia and other symptoms. Technically, dementia is a syndrome instead of a disease, which means it is a more generalized term for certain types of symptoms. People with dementia have impaired thinking or memory issues. Cognitive decline and memory issues can be challenging for aging adults to manage, but they can maintain a higher quality of life with the help of professional caregivers. If your elderly loved one needs help maintaining a high quality of life while aging in place, reach out to Home Care Assistance, a trusted provider of Huntington home care. Services our caregivers provide include transportation to and from medical appointments and social events, nutritious meal preparation, assistance with daily exercise, and help with everyday tasks like bathing, grooming, and light housekeeping. Though Alzheimer’s is one of the most common causes of dementia, it is not the only way a senior can develop dementia. In some cases, a senior can develop another disease that causes dementia, like Huntington’s disease or Parkinson’s disease. Dementia can also occur whenever brain cells are damaged, which means strokes, HIV infections, and vascular diseases can also cause dementia. Certain age-related conditions can make it more challenging for seniors to age in place safely and comfortably, but Huntington live-in care experts are available around the clock to help seniors manage their health. Whether your loved one is living with dementia or is recovering from a stroke, you can trust in professional live-in caregivers to enhance his or her quality of life. The most common symptoms of Alzheimer’s and dementia are a continuous decrease in memory and the ability to communicate, so the two health conditions are often confused. However, other forms of dementia can cause involuntary tremors, difficulty balancing, visual hallucinations, and sleep disturbances, and these symptoms are not common in seniors with Alzheimer’s. Seniors with Alzheimer’s frequently experience more personality changes and impaired judgement than those with other types of dementia. Alzheimer’s disease tends to progress at a relatively rapid rate, and symptoms worsen over time. The prognosis for other types of dementia may be slightly more hopeful. If the dementia is caused by a vitamin deficiency or a medication side effect, it may be reversed. In cases where the dementia is due to a brain injury, it may stay the same instead of getting worse. The differences between these two conditions results in different treatment methods. Most treatments for Alzheimer’s disease focus on treating the different symptoms of the disease. Seniors may be prescribed antipsychotics to reduce behavioral changes, cholinesterase inhibitors to reduce memory loss, and medications to alleviate depression. For other forms of dementia, treatment may involve getting rid of the cause of dementia. Changing a drug regimen or removing a brain tumor that was causing the dementia could completely cure it. For some forms of dementia, like vascular dementia, treatment relies on keeping the brain healthy and trying to prevent the dementia from worsening. Alzheimer’s, dementia, and other types of mental health issues can adversely impact your loved one’s wellbeing, making it difficult to provide care for him or her. Families who find it difficult to care for their aging loved ones without assistance can benefit greatly from professional respite care. Huntington, WV, family caregivers who need a break from their caregiving duties can turn to Home Care Assistance. Using our proprietary Balanced Care Method, our respite caregivers can encourage your loved one to eat well, exercise regularly, get plenty of mental and social stimulation, and focus on other lifestyle factors that promote longevity. Call us at (304) 521-2909 to create a customized home care plan for your senior loved one.